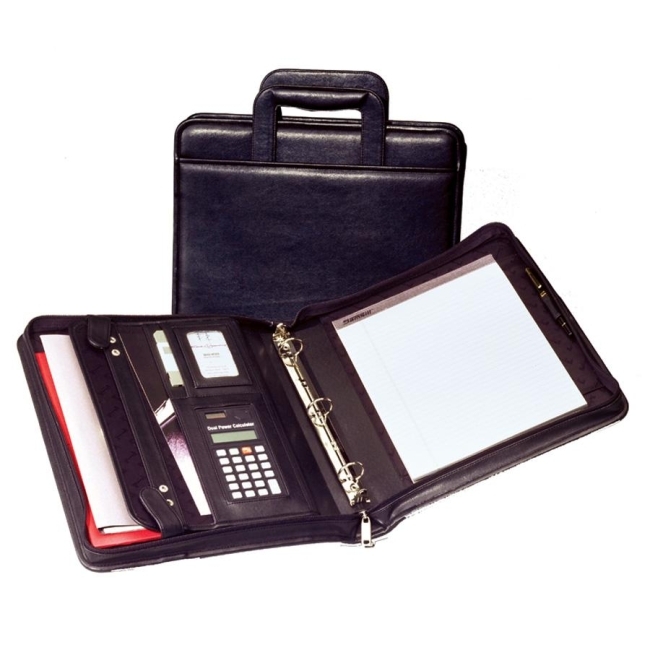 Samsill Sterling Zipper Binder Portfolio - 3 x Round Shape - 2"
Sterling Zipper Binder with retractable handles offers softly padded vinyl with the look and feel of napa leather. Wraparound zipper provides security for important papers. Offers sleek radius corners, two full-length exterior storage pockets, inside snap-closure document pocket, dual powered calculator, business card and CD pockets, pen loop, 2" removable ring metal for loose-leaf pages and letter-size writing pad.